The department of communications has received about 50 written submissions from a wide range of sources ahead of next week’s colloquium on broadband policy to be held at the Gallagher Convention Centre in Midrand. That’s the word from departmental official Petrus Khoza, who says he has received submissions from industry players, from government representatives and from members of the public. He says no decision has yet been taken about whether the department will publish the submissions. The department must also still finalise the agenda for next week’s colloquium, which takes place on 18 and 19 November. The planned colloquium follows the publication in September of a draft broadband policy for SA. Interested parties had until 18 October to file written submissions. Khoza says next week’s colloquium will be used to solicit further inputs from industry players and the public. By Wednesday, 150 people had registered to attend. Khoza hopes that will rise to at least 250. 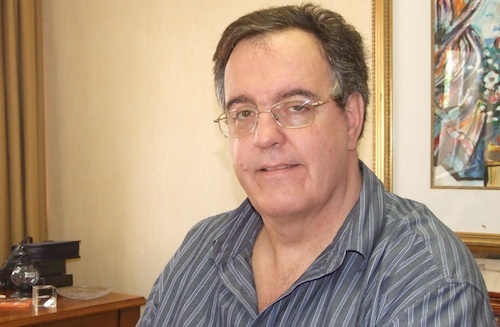 BMI-TechKnowledge MD Denis Smit, pictured, says he hopes the communications department will use the colloquium to provide details of the strategy document it plans to develop to deal with broadband issues. “Maybe they’ll show their hand in terms of their strategy, particularly when it comes to the harmonisation of national, provincial and municipal broadband initiatives,” Smit says. It’s not the first time that the department has called a colloquium of this nature. Former deputy communications minister Roy Padayachie famously hosted the industry at the same venue several years ago to try to find a way of dealing with high telecommunications prices. Not much if anything came of that meeting, despite it being well attended by senior players in government and business. However, Smit says he is confident that much more may flow out of the latest colloquium. He says the new administration appears determined to do something to get the sector moving again. The department has indicated it will deal with a range of issues related to broadband, including spectrum allocation and local-loop unbundling, both of which are critical in increasing competition in broadband, Smit says. But new minister Siphiwe Nyanda and his new director-general Mamodupi Mohlala appear determined to rectify the mistakes of the past. It is anticipated that both Nyanda and Mohlala will attend next week’s confab.